Chencinski, Kavanagh, Bone (McAllister 58), Grace, Lopes, Boyle, G Bolger, Finn, Burke (Byrne 65), Miele (Coustrain 25), Carr. Farago, Bermingham, Toner, Desmond, Madden, T Byrne, Lennon, R Brennan (Kelly 62), Markey (Fagan 55), C Byrne, Keegan (Doona 46). 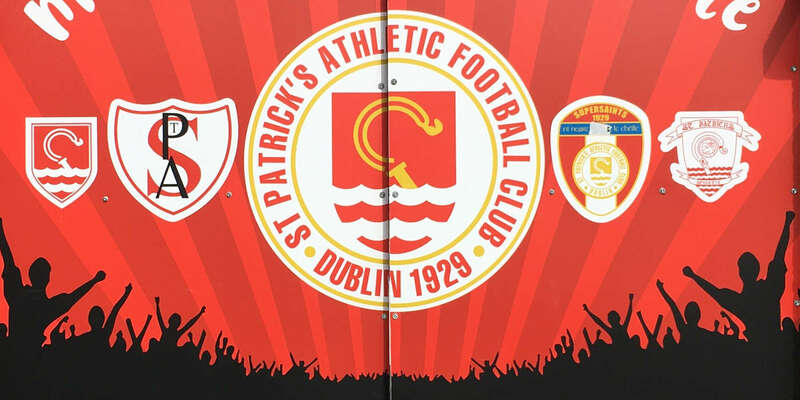 Shamrock Rovers demolished St Patrick's Athletic to give their season a much-needed boost and close the gap on their Dublin foes to four points, with Lee Grace, Ronan Finn and Sam Bone among the goals. 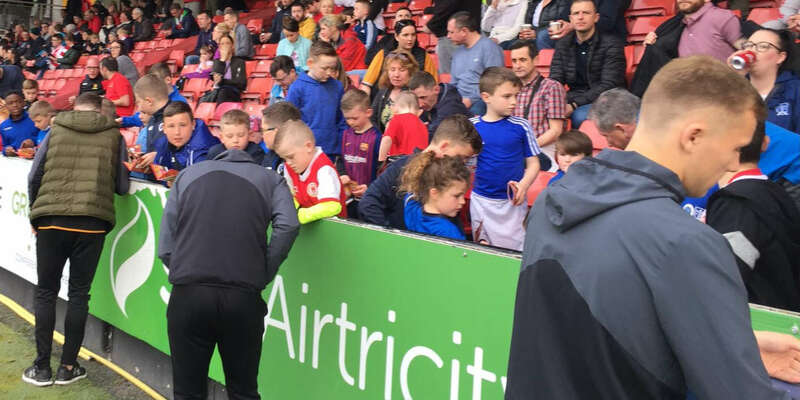 After going ahead, in front of over 3,000 fans at Tallaght Stadium, Stephen Bradley's men called the shots on a beautiful evening, with most of the Saints' in-form players nullified. It was a performance that advertised how good the inconsistent hosts are when they click. Pat's were forced into a late change, keeper Barry Murphy unavailable as his partner was in labour, and Tyson Farago came into nets. The game struggled for a pattern before Rovers' opener after 17 minutes. This was a rare one, Grace scoring, the Carrick-on-Suir defender heading home after a gorgeous, floated Burke corner-kick. Pat's were subservient in the first half, creating little, though Ian Bermingham sliced wide from a decent opening in the 27th minute. Bermingham spent much of the first 45 hounding Burke, with limited success. At the other end, Kevin Toner was brave and well-placed to block a fierce Ethan Boyle drive, before Farago was caught badly under the ball from a corner and Pat's were fortunate that no Hoops player connected. Rovers â€“ with Greg Bolger dominating midfield â€“ were full of confidence as the interval approached and nearly opened Pat's up again but beautiful interplay between Finn and Dan Carr came to nothing. However, the same two players combined to excellent effect with a goal resulting from effectively the last kick of the half. The excellent Sean Kavanagh stole off Conan Byrne, finding substitute Joel Coustrain. He fed Carr in space on the left and a clever ball from the Englishman put Finn in. The Rovers captain stretched to connect, giving the advancing Farago little chance. It was the least that the Hoops deserved. Conan Byrne's free-kick on the restart looked certain to be met by Toner at the back post but he missed the ball under duress, a few of his team-mates looking for a penalty. This might have changed a game that was effectively over in terms of the outcome seven minutes after the break when the powerful Bone blasted home from inside the box after Saints failed to clear from a Burke set-piece. Irish call-up Burke was outstanding but his signature shot to the far corner â€“ which has yielded some spectacular goals since he joined the Hoops â€“ was read by Farago in the 58th minutes. The final half-hour saw both teams effectively playing out the clock and when Conan Byrne saw the in-form Roberto Lopes head his volley off the line with eight minutes left, Pat's were probably ready to hit the showers. 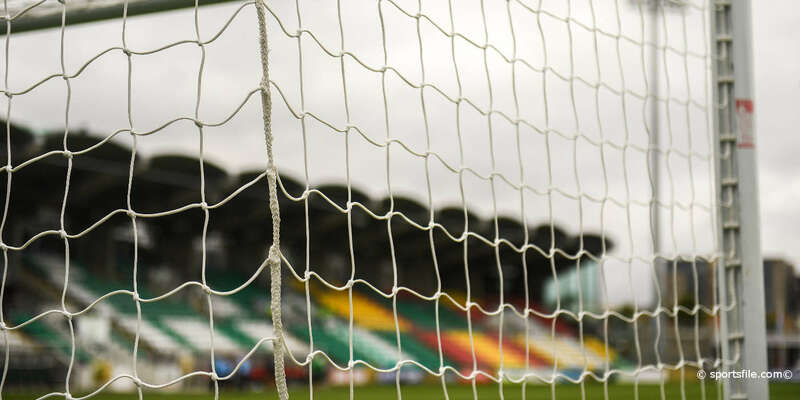 And after substitute Graham Kelly went in late on and needlessly squared up to Bolger, the Rovers general goaded him by pointing to the scoreboard, which nearly changed as Kavanagh drilled an injury-time drive just wide.